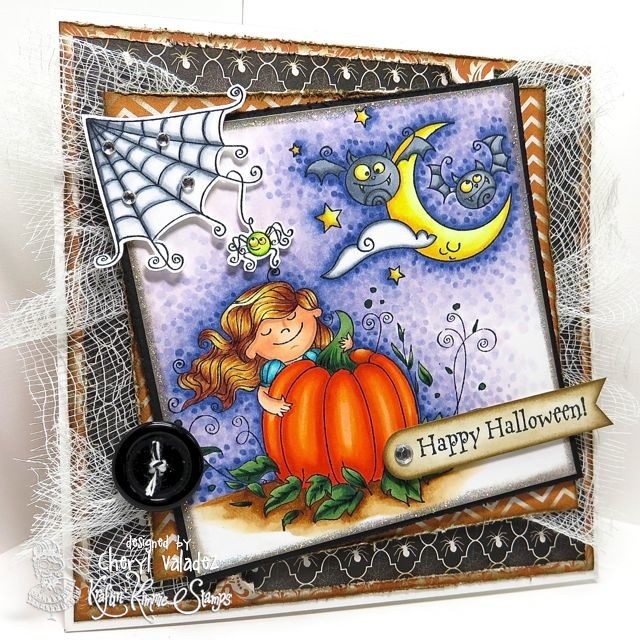 The Ink Trap: August Peeks at Kraftin' Kimmie Stamps: Day 3! Welcome back to day THREE of our AUGUST Kraftin' Kimmie Peeks!!! Today we are sharing a super cute new set by artist Thais Narciso! It's called.......HAPPY HAUNTING!! ooh, love the background with the netting. Very cool! love the way you colored the image...love it! WOW!!!! Fantastic card!!! Love the netting!! Love how you blinged the web and the gauze sets the mood perfectly. Beautiful coloring...love the way you did the shadowing and background! Great card and again, your coloring is amazing!! OMG...Cheryl...this card is AMAZING...love all the details (especially the netting) and of course the way you did the sky...FANTASTIC !! Thanks for sharing and inspiring me.